A stunning CD designed to help children relax and to enhance feelings of happiness and contentment. 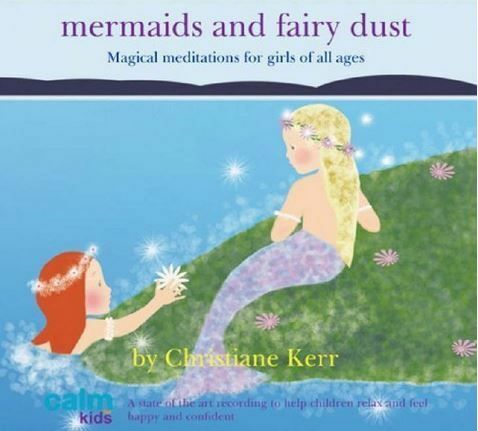 Focussing on little girls of all ages, there are four sections, from Creative Meditations – which includes Fairy Relaxation and Little Princess – to Soothing Meditations including Blowing Away your Worries and Bubble of Love. These beautiful, relaxing Children’s Meditation CD is the inspiration of Christiane Kerr. As well as practicing and teaching yoga for over 15 years, Christiane is an experienced Montessori teacher. She started to run relaxation courses for children in 1999 when she founded Calm For Kids. Her work has been featured in the national press and on television. Christiane runs classes for some of London’s leading yoga studios and teaches in schools from nursery to secondary level. She currently runs adult courses and children’s workshops in West London where she lives with her children. These lovely meditations can be enjoyed by adults too especially where relaxation and visualization can enhance an overall feeling of well-being.